What defines a role-playing game? This is actually a rather common, and quite interesting question that serves as an easy starting point to the discussion of what exactly defines a genre. Yet, it’s a question that has been discussed many times, and one that I find is rather all too easy. Instead the question that’s been bopping around in my head for a while has been about what defines the Strategy role-playing game. In a genre that seems adverse to any sort of role-playing and immersion, the genre that gave us turn based games such as Final Fantasy Tactics, Disgaea, and Fire Emblem, what exactly gives us the right to consider these games RPGs? What can we do in order to enhance SRPGs, and perhaps make them live up a bit more to their name? Well, let’s take a look. 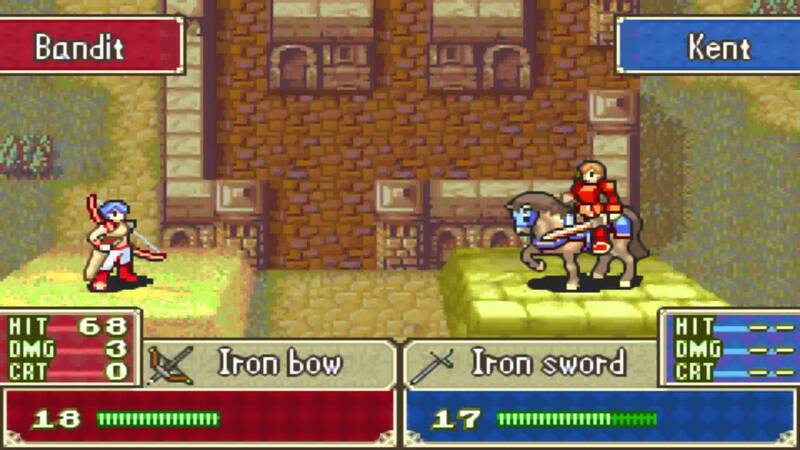 First, let’s look at what makesthe SRPG different from other strategy genres. SRPGs normally differ from RTS games in the fact that, besides being turn-based, they are also normally more squad-oriented than they are focused on a “base camp”. If there are any economic systems in SRPGs, such as the building of units or enhancing of abilities, they are normally handled before battles begin, unlike having to build and enhance units during a battle in an RTS game. This brings us to the more pressing comparison, what exactly is so special about SRPGs that classifies them separately from standard turn-based strategy games? If we’re to look at the actual mechanics, we see the same differences that exist between SRPGs and RTS games, except in a turn-based sphere. However, if we turn not to mechanics, but area of origin, we find that most RTS games such as Starcraft and standard turn-based strategy games such as Civilization are Western and that almost all SRPGs happen to be Eastern. I believe that this is the most important thing we can take out of this comparison. If SRPGs are mainly Eastern, then that means Eastern RPGs are what we should look at as a basis of how RPG elements are handled in SRPGs. This explains why Western role-playing is normally absent from these games, as Eastern RPGs normally focus on story and progression mechanics. Fire Emblem is a brilliant example of this, as it applies all of the basic systems of a JRPG, but places them in a more tactical and strategic battle system. While this makes sense knowing how the Japanese view RPGs, a question remains: what would happen if we applied Western role-playing elements and decision-making to SRPGs? While many JRPGs already contain little role-playing, strategy RPGs have even less. Look at Final Fantasy Tactics: it may have a great story, there may be many different options and strategies, but how do you possibly role-play as a group of more than 10 characters? The avatar-based escapism and immersion that comes from role-playing is absent among the hordes of characters and units you can control in Strategy RPGs. 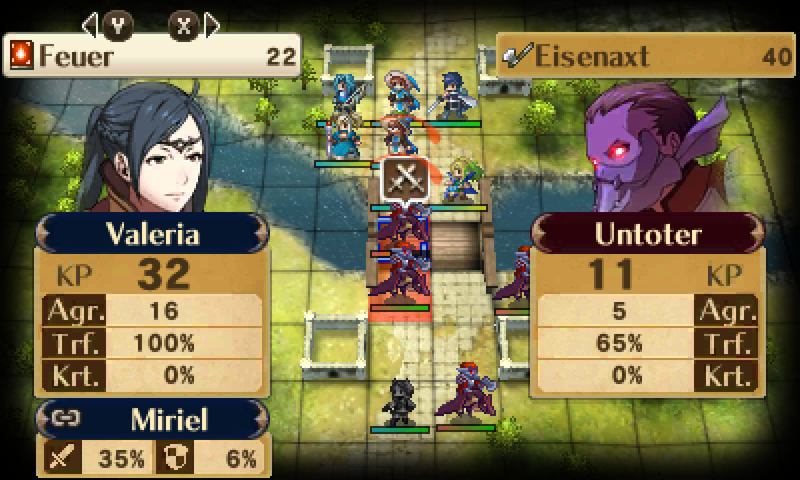 However, in Strategy RPGs such as Disgaea, Fire Emblem, or Final Fantasy Tactics, some or all of the units you control are unique, fully fledged characters with their own motivations and stories. Role-playing can technically come from playing as each character individually, and selecting each strategy according to their personality. This character is wild and crazy, so he’s going to attack head on! This one is silent and sneaky, she’ll slip in undetected. Perfect right? Yet, while some players may indeed use this style, unless there is some incentive to the contrary, strategy will always be king. The strategy in a strategy RPG will always outweigh the role-playing elements, and when fighting against a tough enemy, what will you choose, the strategy that stays true to each character’s personality, or the one that will win? In order to solve this delimma, such role-playing elements must be weaved into the strategy of the game itself. Small things, like making each character’s personality reflective of it’s class, will lead players to automatically choose methods of fighting best suited to each character. 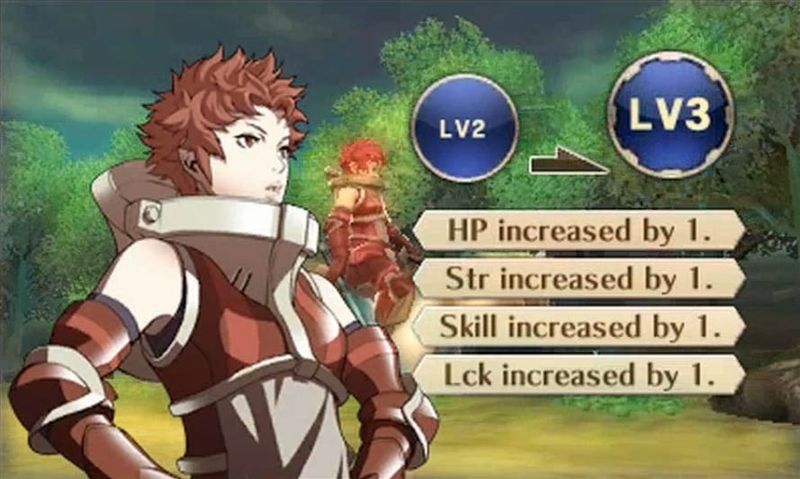 While that may seem obvious, and is already employed by numerous games, systems such as Fire Emblem’s “support conversations” can add an extra dimension of role-playing into strategy, but making social interaction and relationships factor into turning the tide of battle. Still, no matter how much we attempt to tack on gimmicky role-playing elements, trying to force the same framework of choice and social interaction normally found in Western RPGs, they will continue to be overshadowed by cold, logical, strategy. In order to make a truly satisfying SRPG we must take the basics and re-form them in a way that works with our format. The rawest elements of the RPG, I would argue, are choice and immersion. Applying choice is simultaniously easy and hard. It’s easy to figure out that having an endless permutation of personal choices and strategies makes for an awesome SRPG, but it’s hard to actually design it. If done right, then no strategy will ever be the “best”, and strategies become a personal and unique thing to each player. If done wrong, you have everyone following one strategy that works the best. Every time. With our ideal system of choice and strategy, which should already be implemented in any strategy game, we now turn to immersion. While immersion should be a given in any video game, in strategy games immersion is normally replaced by obssession. Instead of staying up til’ 2 o clock in the morning caught up in your character’s actions, you’re up grinding for maximum levels and perfecting your personal strategy. Disgaea in general tends to take this route, touting a levelling system that goes all the way up to level 9999, and stats that go even higher. While this methodology of making strategy games also manages to be quite engaging and gripping, it still loses what it means to be a SRPG. How exactly do we apply immersion then, how can we pull the player further into the game? If immersion is impossible to achieve through playing as individual units, what about playing a commander? Advance Wars: Dual Strike could be considered a standard turn-based strategy game, with unit creation and resource collection being core parts of the game, yet I’d consider it to be one of the best examples of a true SRPG currently available. Why is this? You role-play as your commander. Commanding officers in Dual Strike all have their own ways of issuing orders and formulating strategies, and get different stat bonuses and penalties apllied to different units. New commanding officers are unlocked as you play through the campaign mode, and depending on how well you play – normally by masterfully utilizing your CO’s specialities – you gain varying amounts of experience points to go into levelling your CO. The sheer genius of this system is that it not only caters to various different play styles, but it also rewards the player for thinking about decisions in a certain mindset, or in other words, role-playing. Levelling and progression systems normally used in JRPGs are tweaked and utilized in just the right way in order to make Advance Wars not only an obsessive game, but an immersive and fun game as well. In the end, have we actually learned anything new about how to make a good video game? I believe we have. Instead of simply taking the basics of two genres and melding them together, Advance Wars: Dual Strike has taught us that the best way to mesh genres is to take elements from both that compliment each other. But the more important lesson is that by looking at the basic types of engagement offered by different genres, we can design our mechanics around them and be innovative while catering to specific niches. This very same principle is what saved the dying genre of the SRPG, and remains at the core of game design. The SRPG genre is full of innovation just as much as stagnation, but there’s always room for improvement if you just take a closer look.